There are a few places to go horse riding in Bali though you have to get out of the tourist areas on Kuta and Seminyak as these are too crowded for good horse riding. If you want to go horse riding along the beach then head to Canggu which is around 20 minutes drive from Seminyak. There are a few horse riding schools in Canggu which offer riding lessons and horse riding trips along the beach. They also offer horse riding through the quiet padi fields just inland from the beach area. These are nie peaceful rides through small villages and the open rice paddies. Take your camera along as there are some lovely scenery around this area. Bali Horse Riding is located in Canggu and offer various horse rides both on the beach and through the lovely lush green rice paddies. 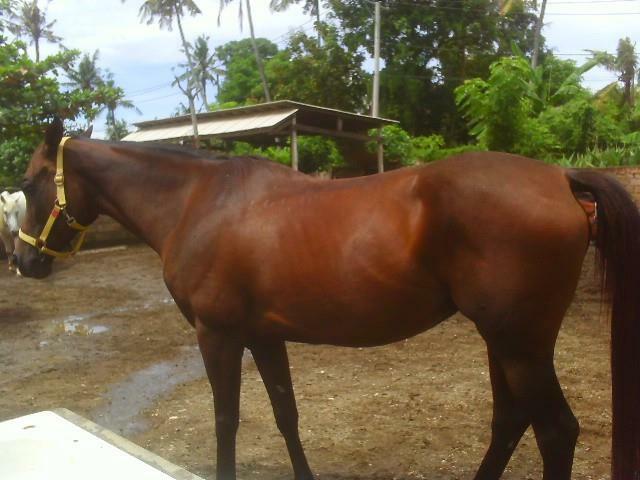 Bali Equestrian Centre is the largest horse riding school in Bali with quiet horses and ponies for children to ride. They have large stables and a lovely restaurant / events centre with a good choice of food. The Bali Equestrian Centre have around 2.5 hectares of land which is a great place if you are learning to ride. They offer both village rides and beach rides.